Revolutionary new technology created at the University of Plymouth could fill a major gap in our understanding of how organisms' early development will be impacted by climate change. EmbryoPhenomics combines unique hardware and software to produce automated measurements of the size, shape, movement and heart rate of organisms, capturing the most, minute details of their very early development. It comprises OpenVIM, a fully automated robotic video microscope for recording hundreds of aquatic embryos over long periods, and EmbryoCV, pioneering analytical software which can automatically measure the dynamic process of development for each embryo. Writing in PLoS Biology, researchers say the technology provides the opportunity to efficiently visualise and measure whole-organism responses to different environments and could be a game changer for biology. They also say that while capturing the dynamic responses of tiny early life stages is inherently challenging, these stages are pivotal and can actually have greater sensitivity to environmental stressors than in later life. The study's lead author, Dr. Oliver Tills, began developing EmbryoPhenomics around nine years ago during his BSc (Hons) Marine Biology and Coastal Ecology degree. Now part of the University's Marine Biology and Ecology Research Centre, he said: "It has been a huge challenge to reach this point, but at every stage of building this technology we have observed new phenomena and that's really exciting. The technology we have now is giving us an insight into embryo development that has previously been impossible. The amount of data we are generating is vast and this is enabling us to assess the impacts of raised temperatures, salinity and more in ways that we could never have previously imagined. This technology has the potential to be a real game-changer in assessing the biological impacts of current and future climate change." For the PLoS Biology paper, researchers from Plymouth and the Italian National Research Council's Institute of Marine Science report on four experiments in which they generated more than 30 million images of over 600 developing embryos. The experiments focus on two commonly found and ecologically important invertebrate species—a pond snail (Radix balthica) and a marine shrimp (Orchestia gammarellus). 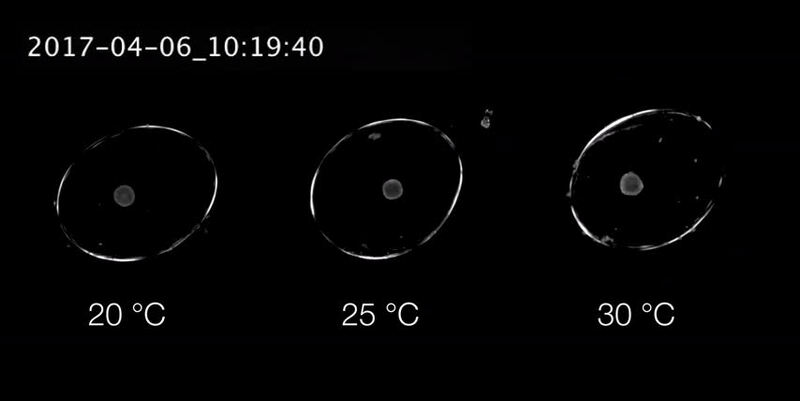 In one experiment they discovered a predictable increase in movement, growth rates and heart rate in embryos grown in 25°C compared with 20°C. 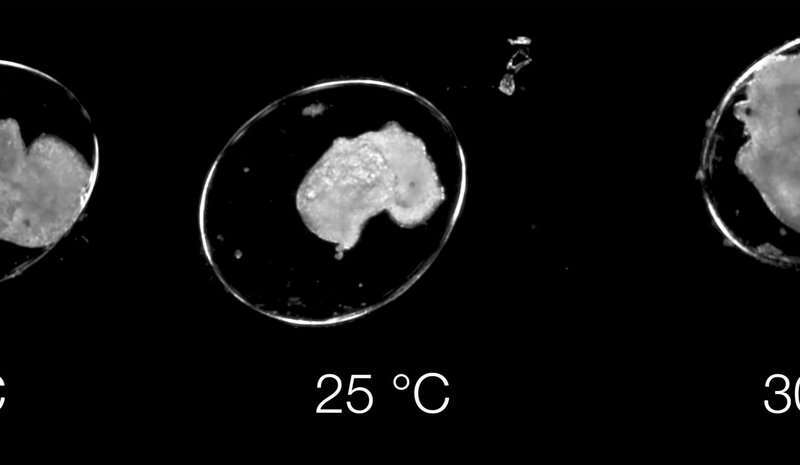 But embryos grown at 30°C—a temperature they are now routinely experiencing in their environments—had a different developmental dynamic to those at lower temperatures. The team are now using EmbryoPhenomics to investigate the mechanisms underpinning this response. The experiments also identified points at which the embryos would experience extreme, or lethal, biological responses, with the EmbryoPhenomics technology providing a powerful and robust means of assessing the impact of short-term, environmental changes such as weather-related incidents or pollution. Researchers say that while these experiments focussed on two species, the technology is intentionally broad in its scope, versatile and applicable to other species and research areas. Professor Simon Rundle said: "This is not just about taking a quick snapshot but seeing in detail how organisms put themselves together. The early stages of an embryo's development are its most sensitive and there are many factors which could lead to organisms not progressing from that phase to become adults. By understanding these in more detail we can begin to build a picture of what we might be able to do to ensure biodiversity is not lost as our climate changes."